This year, like so many previous ones, probably started off with the oft-dreaded New Year resolutions. If you’re like millions of other people, weight loss was one of those resolutions. 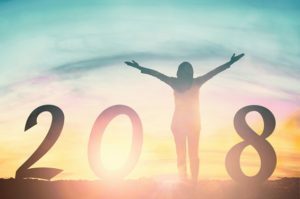 Perhaps it would be best to wait until late January (or even early February) to make the most realistic new year resolutions by giving your holiday excesses time to resolve themselves. When you have more clarity and can best make decisions on how to move forward with a healthier lifestyle, be sure to make resolutions based on reality. That includes setting realistic goals as well as making healthy choices based on real, scientifically sound information. There’s a ton of misinformation floating around (especially on the Internet) about food and how it affects our health, especially related to losing weight. Will gluten-free foods help you lose weight? No! Just because “gluten free” is a hot topic of discussion, gluten free foods still contain calories, and usually the same amount as their traditional counterparts that contain gluten. Gluten (a protein found in wheat, rye and barley) need not be avoided for individuals without celiac disease, a gluten sensitivity or any condition that has been identified by your healthcare provider. If you have been diagnosed by a physician with any gluten-related problems, be aware that “calories are calories” and over-consumption of a gluten-free food will not help you lose weight. More info. : read this previous blog regarding some myths about gluten. Should dieters avoid nuts since they contain so much fat? Can foods that are rich in umami help with weight loss? Yes! If weight loss is on the top of your list, you may want to consider that umami foods may help you lose unwanted pounds. Why? Read about it in this previous MSGdish blog. It is well worth reading for anyone who has “lose weight” on their list of 2018 new year resolutions. A scientific study published in the well-respected American Journal of Clinical Nutrition found that the popular umami taste – which can be imparted by savory foods rich in umami or simply by adding monosodium glutamate (MSG) – can actually make you feel fuller and more satisfied, thus having the potential to curb your appetite and reduce total amount of calories consumed.” Time magazine also offered an excellent recap of this important weight loss research. Very best wishes for a happy and healthy 2018!